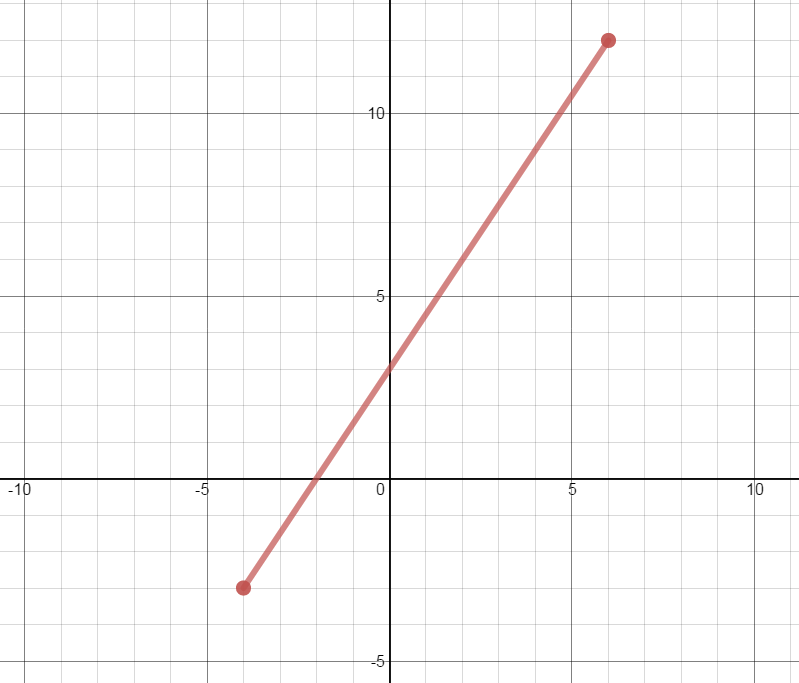 Features of Functions is the unit and the problem focused on the following graph. For what values, if any, does f(x) = 3? Groups were working well together and I asked them to write their agreed upon answers on their easels. As we looked around the room, everyone agreed until we got to #6. 6. On what intervals is f(x) increasing? Naturally, everyone said the function increased on the interval [-4, 6]. Everyone except Group 7. They're always contrary like this. Probable just stirring the pot a little. Just pat them on the head and move on. Except J says, "Mr. Cox, I stand by my answer." "Wait, what? Do you know who I... ahem, tell me more." "Well, since the function starts at -4, it's not increasing yet. And since it ends at 6, it stops increasing." R chimes in, "Ok, J. I see your point and I'd be willing to say the interval is (-4, 6] because at -4 it hasn't started increasing, but at 6 it's been increasing and then stops. Maybe we include one and not the other." This took us on an interesting discussion about what we really mean by rate of change, increase and decrease; how our interpretation is influenced by our left-to-right reading convention; and how many points we actually need to identify a rate of change. We talked about instantaneous rate of change and how you can actually have a "slope" using one point. But I still have questions. J was looking at the endpoints of the functions as if they were a relative maximum and minimum. They aren't included in the increase interval because the rate of change is actually 0 at those points. Was he correct to think this now? Was this simply a really good wrong answer? Should he be considered correct on the argument alone?